The Trade Partnership, a Washington-based econometric firm, said the tariffs would result in three lost jobs in the broader economy for every job gained (92,000) in the auto sector. WASHINGTON -- The Trump administration is considering a 25 per cent tariff on imported cars and auto parts to help support the domestic auto industry, but two new studies find that it would have the opposite effect over a three-year period. First-order negative effects of tariffs on the auto industry and the broader economy would be modest, but the damage increases if trading partners retaliate with restrictions on U.S. exports, they said. A report by the Peterson Institute for International Economics in Washington predicts vehicle manufacturing would suffer a 1.5 per cent loss in productivity, resulting in a two per cent drop in auto sector employment, or 20,000 jobs, as the tariffs raise auto prices for consumers and reduce demand. The ripple effects of reduced sales and shipping activity would lead to 195,000 lost jobs in the overall economy. Counter tariffs on U.S. auto exports would reduce domestic auto production by four per cent, costing 50,000 industry jobs and 624,000 total jobs. The Trade Partnership, a Washington-based econometric firm, said the tariffs would result in three lost jobs in the broader economy for every job gained (92,000) in the auto sector and would raise the cost of a US$30,000 car by about US$6,400. The GDP would decline by 0.1 per cent as higher costs, net job losses, and declines in producer and consumer spending power work their ways through the economy. 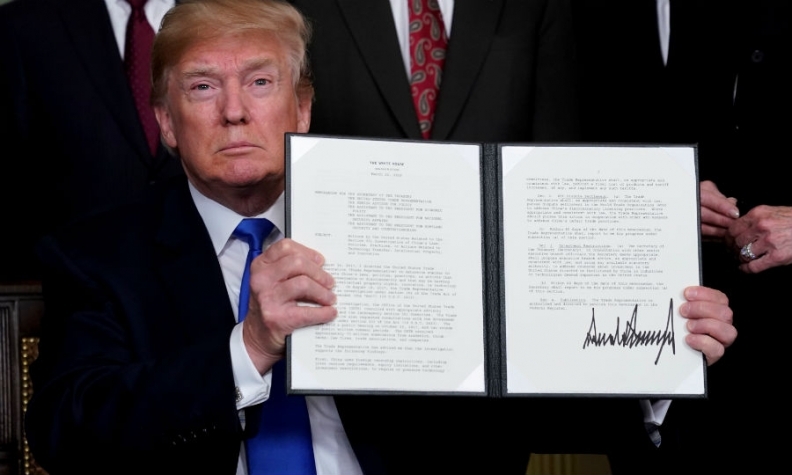 "It's not to say this action throws the U.S. economy into a tailspin, but why are you taking it when it makes things worse for U.S. firms and workers?" PIIE co-author and senior fellow Jeffrey Schott told Automotive News. The Department of Commerce, invoking its rarely used national security authority to protect domestic industry, last month announced an investigation into whether imports of autos and auto parts posed a security threat. Commerce Secretary Wilbur Ross justified the review on grounds that economic security equals national security, but critics of the action say the 1962 law is intended for use in wartime situations and that the administration's decision opens the door for other countries to take protectionist measures on the pretext of national security. The investigation into whether imports are harming the U.S. auto industry comes as the industry is at its healthiest point in decades, with domestic production by U.S. and global automakers at more than 12 million units, overall sales at near record levels and manufacturers posting healthy profits. Automakers never asked for tariffs, and their trade associations have publicly opposed the auto import investigation. The proposed tariffs would cover about US$208 billion in auto imports and another US$100 billion in imported parts, surpassing the combined value of all other tariffs implemented or proposed so far by President Donald Trump. The U.S. currently collects duties of 2.5 per cent on imported cars and 25 per cent on light trucks, unless they come from Canada and Mexico. Those countries are part of the North American Free Trade Agreement and autos enjoy duty-free status if they have least 62 per cent North American content.